Felipa Ruiz, age 100, went to be with the Lord, Thursday, October 11, 2018. 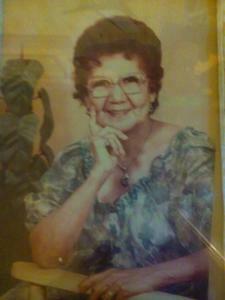 She passed away at home, in Nunica, MI, with her family at her side. Mrs. Ruiz was born in San Benito, Texas, on March 26, 1918. Felipa Retired from the H.J. Heinz Company. She was a born again Christian. Mrs. Ruiz was preceded in death by her husband, Agustin Ruiz Jr.; brother, Carlos; sister, Lupe Leal of Holland, MI; daughter, Lollie Paris; son, Fred Rios. She is survived by her daughter, Carmen Moralez of Holland, MI; sons, Rodolfo "Rudy" (Vicky) Rios, of Nunica, MI, Encarnacion "Jr." Rios, of Wyoming, MI; many grandchildren, great great grandchildren; brothers, Martin Quijas and Luis Armendarez, of California; sister, Jesusa "Chewy" Magollan, of Holland, MI. A funeral mass will be celebrated11:00am, Saturday, October 20, at St. Francis de Sales Church, 171 West 13th Street, Holland. Father Kyle Kilpatrick will celebrate the mass. The family has entrusted professional services to the Dykstra Funeral Home - Downtown Chapel.